In the wake of the Christchurch massacre, Jacinda Ardern has continued to show strong leadership. This week journalists and celebrities have come together in adulation of the Jacinda Ardern. 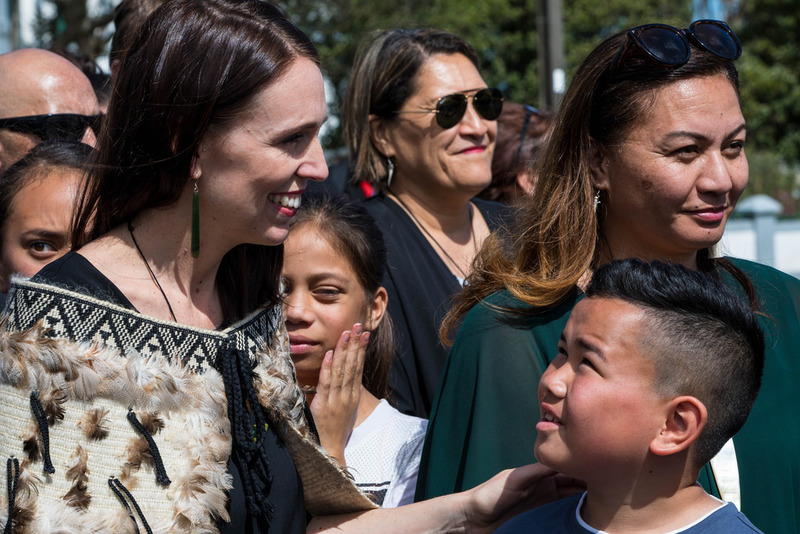 In the wake of the terrorist attack in Christchurch, Ardern was praised for her ability to bring New Zealand together. Just today, ABC journalist Annabel Crabb and Jamila Rizvi (for The Age) have written op eds, praising Ardern’s exemplary behaviour in the wake of the massacre. This morning Crabb, one of ABC’s most celebrated journalists, held Ardern up as an example of what leadership should and can be. “After a week in which young Australians called loudly for a new type of leadership, they may not have far to look,” she wrote. Some Australians have even taken to Twitter to express their wishes that she was Australia’s PM. This is not the first time that journalists have praised Ardern for the way she handles situations. In 2017 when Ardern became the opposition leader of the Labor Party in New Zealand, she immediately showed us how to react to the inevitable sexist comments that seem to come for female politicians. Gareth Morgan , a prominent businessman in New Zealand who believed Ardern was being elected on the basis of personality rather than policy, described it as “Lipstick on a pig”. Even though it was all over the media, she pointedly did not respond, instead she let policies do the talking. In the week after these comments came out her popularity rose by 13 percent. Ardern becomes prime minister. At the time of the 2017 election, the Labor Party was at 24 percent at the polls. Yet, in the seven weeks from becoming opposition leader, Ardern’s party won, making her prime minister of New Zealand. Former New Zealand Prime Minister Helen Clark praised her unexpected rise to power. “She took her party out of a near-death zone of low polling to a highly credible election result,” she said. The first New Zealand prime minister with a baby. During her first term as prime minister, Ardern gave birth to her first child. The media reported that Ardern’s husband Clarke Gayford would be a stay at home father while she headed off to work, making them the ultimate “modern family.” Their first big adventure together as a family was to the UN. Gayford looked after their child as Ardern spoke to the world’s representatives. In response to media criticism about her potentially taking advantage of her privilege, Ardern announced she paid for Gayford’s ticket and accommodation out of her own pocket. Gayford tweeted about his daughter’s first political i.d badge. Calling for policy change after Christchurch Over the course of her leadership, Ardern has proved to be effective and forward-thinking on issues such as climate change, immigration and mental health. She has now set her sights on gun reform after it was found that the Christchurch terrorist was able to obtain two semi-automatic weapons and two shotguns. “There have been attempts to change our laws in 2005, 2012 and after an inquiry in 2017. Now is the time for change,” she said. Ardern has only been leader for two years and has achieved so much in different areas. The question is, what can she achieve over the rest of her term? This week tells us the world will be watching her. Photo: [1L4A7904.jpg] By [Nevada Halbert] available [https://www.flickr.com/photos/nevadahalbert/30833629477/in/photolist-2e8jtgG-29YfqqG-QzMcV8-2cEpAeh-X5jvhv-X5jwgp-2egtGHU-2egtGGb-2brNAKX-2eo7rKC-GEN2w4-MLh89b-aRFBHg-Xvry5C-Xvsd3b-XRrcqJ-2eo7rWQ-NYEpPk-WQL8s1-XU8sD6-29YfqUN-2eo7rNo-2eo7rPf-QB5Vhh-2aneeNh-RrijY2-PM7D5b-2eo7rQY-2eo7rXm-2eo7rN3-2eo7rVC-2bmabti-SjAhQ5-2eo7rZA-2eo7rYo-2eo7rQh-2eo7rWj-2eo7rUf-2eo7rT3-2eo7rZW-2eo7s2u-2bmakWM-2eo7rXS-21vj3RT-PM7Dbd-29Yf5tN-29Yfd8L-2cEpCA1-2dmDTHu] and used under a Creative Commons Attribution. The image has not been modified.